TimeManager is a fantastic plugin for QGIS which allows you to create animated maps from your data. You can read all about it here and here, and there’s a really nice demonstration of it here. I’ve been playing with TimeManager a fair bit over the last month, and thought I’d share a quick tip on improving the appearance of TimeManager’s time stamp. TimeManager includes some basic functionality for placing a time stamp in the corner of your outputs, but it’s fairly limited. 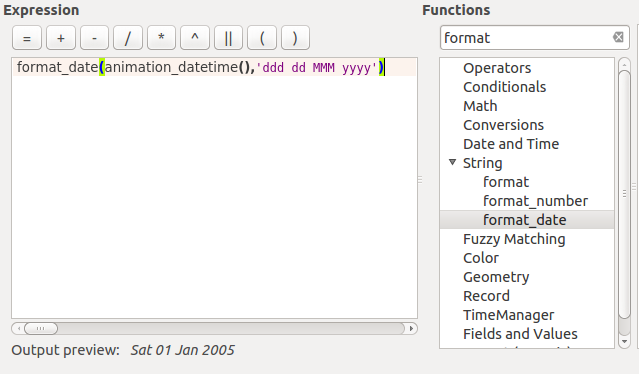 There’s only some basic appearance options, and no way to control the date or time formats displayed. Create a throwaway point layer. It doesn’t matter what fields or format this layer has. Add a single point feature to this layer at the place you’d like the improved time stamp to appear at. We don’t want to see the marker, so hide the symbol for this layer by setting it to use a transparent fill and outline. Then, enable labels for this layer. 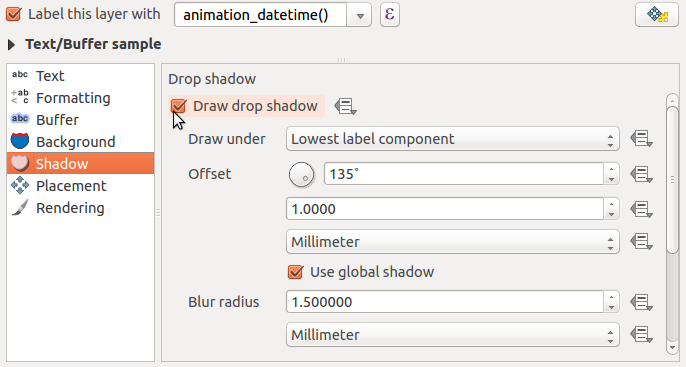 Here’s the trick – set the label expression for the label to use “animation_datetime()” (or for QGIS 2.8, “$animation_datetime”). 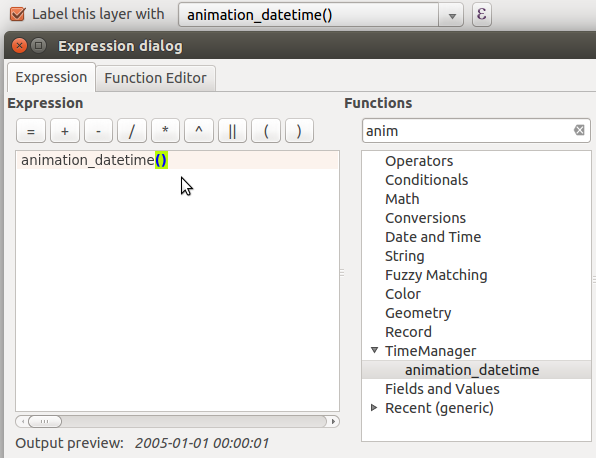 This is a custom function provided by the TimeManager plugin which evaluates to the current frame’s date and time. Now, you can use all the built-in options within QGIS for styling this label. Buffers, drop shadows, background shapes… anything! Apply and check. Much nicer! …and there we go. Using this simple trick allows you to take advantage of all the possibilities which the QGIS labelling and expression engines allow! *Bonus points for the first person to use this technique along with data defined controls for animating the label colour/size!